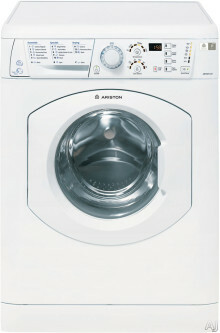 The Ariston ARWDF129 is a great washer/dryer combo for RV travel and smaller laundry rooms. 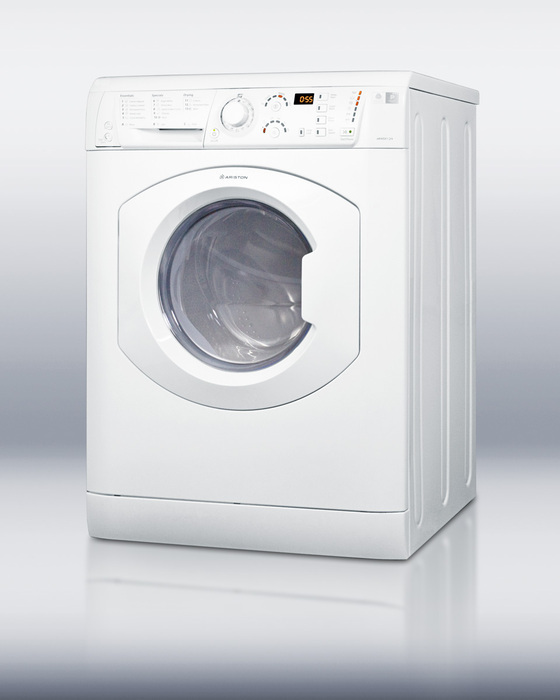 It combines two separate units, improving the efficiency of your laundry and conserving space. All you need to do is load your clothes and set both cycles and it’ll take a good care of your clothes. 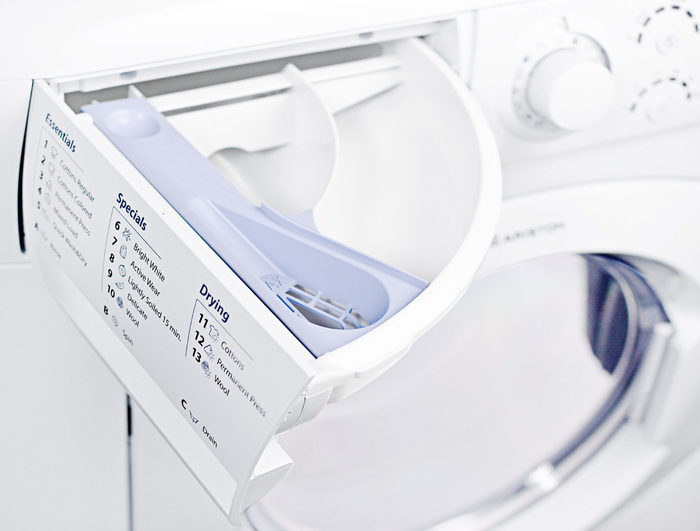 This combo offers good features and different cleaning settings for various fabrics, and what’s more important, it automatically switches between drying and washing cycles. Given its quiet operation and low energy output, you won’t realize when it’s working. But now let’s see what it isn’t ranked in our top ten. Capacity (cu.ft. ): 1.9 cu. ft. Washes nominal load of 15 lbs., and dries nominal load of 12 lbs. Woolmark silver care setting – ideal for keeping your wool soft and clean. Has child safety lock with warning sign. Energy efficient design that saves on electricity and water use. 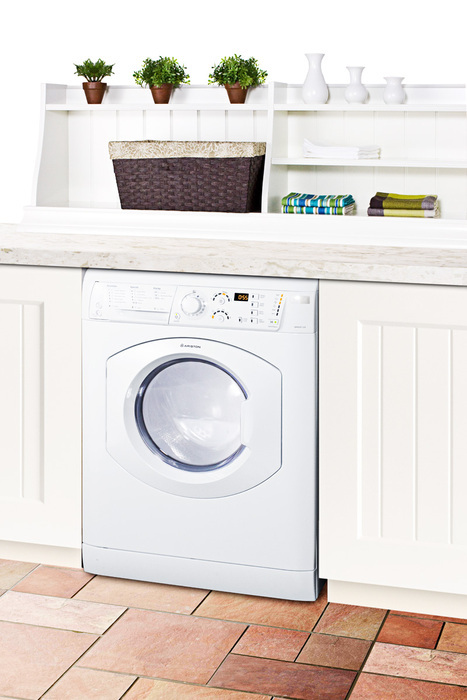 10 wash cycles that offer top-notch care for various types of fabrics. Its operation is super-silent with a unique three-phase motor. Specialized cycles for active wear, extra rinse, wool, delicates and bright whites. 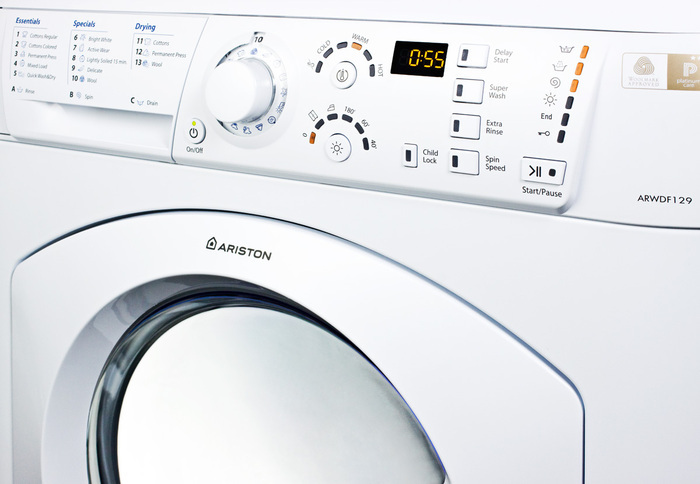 With the Quick&Wash dry option, you can clean small loads in 60 minutes. With the Delay Timer, you can conveniently program your laundry. Has Antifoam and overflow/flood protection. Wash Programs: Cotton Wash: Light, Regular, Heavy; Permanent Press Wash: Light, Regular, Heavy; Delicates Wash: Wool, Silk, Delicates. Options: Delay Timer, Spin Speed, Super Wash, Extra Rinse, Quick Wash and Dry, Bright White, Woolmark Silver Care. Tray Dispenser: Bleach, fabric softener and prewash detergent. Unfortunately, I couldn’t find a video review for this particular model. Has automatic load balancing system. Small width, which means it fits great in small spaces. Washes up to 15 lbs. and dries up to 11 lbs. Smart combination of dial and digital controls. It might seem complicated at first. It takes 3 times longer than most combos to wash/dry clothes. The dryer doesn’t dry as good as some other combos. 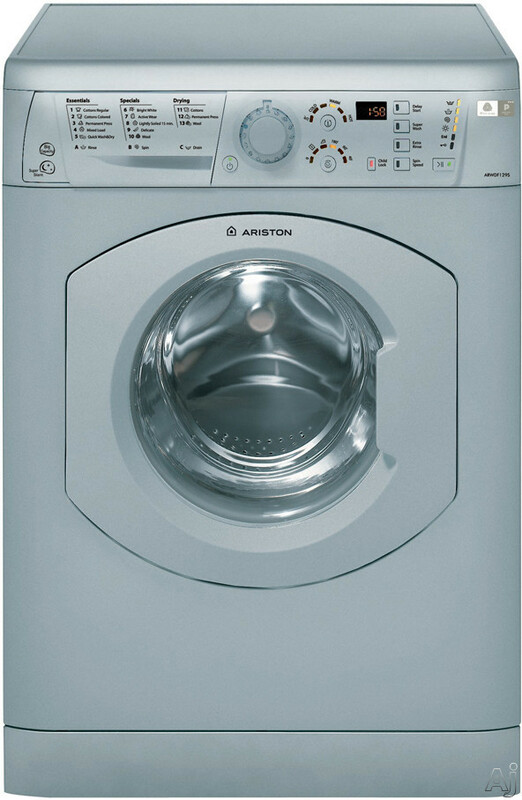 Conclusion: You see, the Ariston ARWDF129 is a combo that doesn’t offer tons of special features, but it’s a great choice for those who don’t have a huge laundry room.